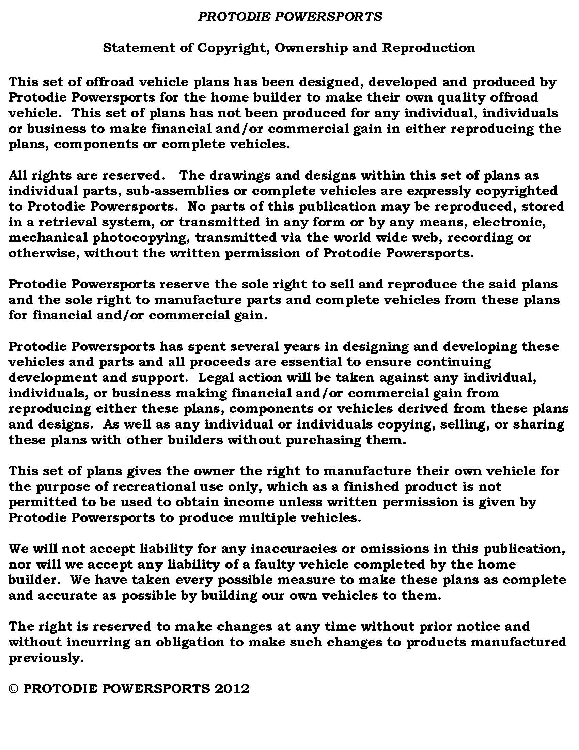 This set of buggy plans can be downloaded right to your computer in PDF format. 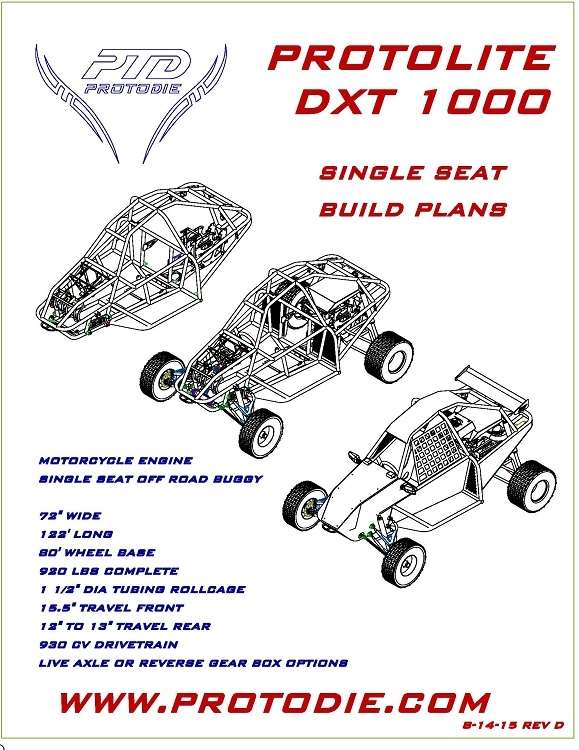 The electronic manual consist of step by step directions to build your own single seat Protolite DXT off road buggy to the point of a rolling chassis.The 3D file is a plus and gives you the ability to see the design in true 3D CAD form. 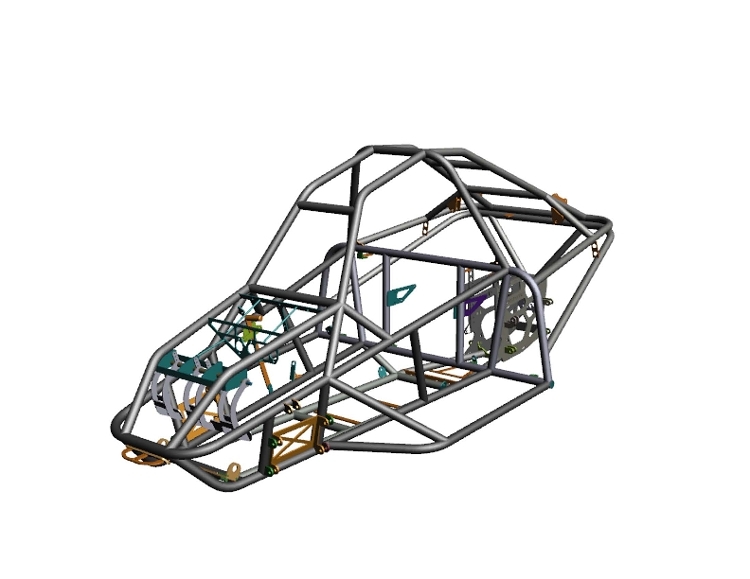 This unique feature allows you to move the design around at any angle to see it up close. You can also turn parts on and off for better viewing.